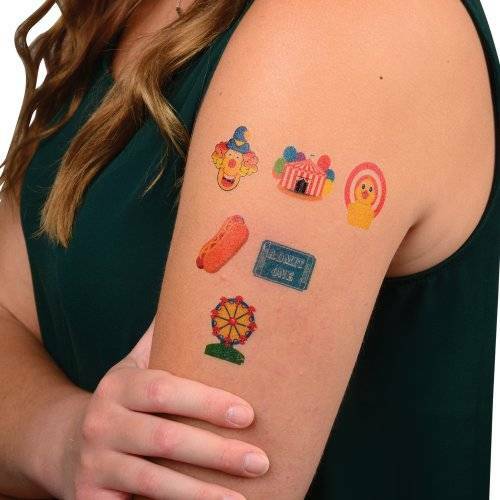 Get in the carnival spirit with these themed tattoos! 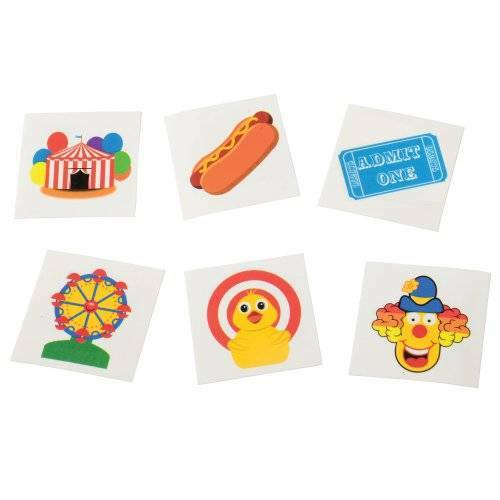 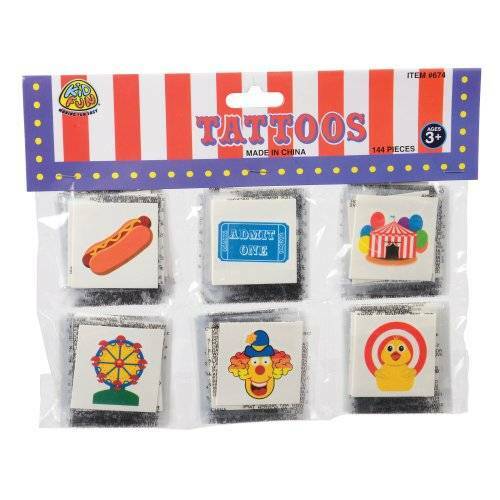 Brightly colored with 6 unique designs ranging from a hot dog to a rubber duckie, these temporary tattoos easily apply with water and wash off just as easy. 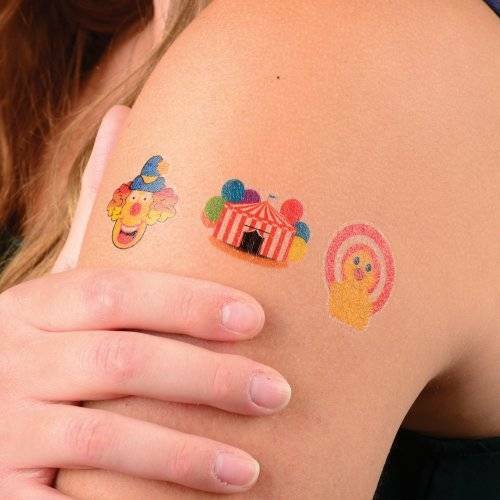 A must-have for your next school carnival, kids will love this body designed just for them!